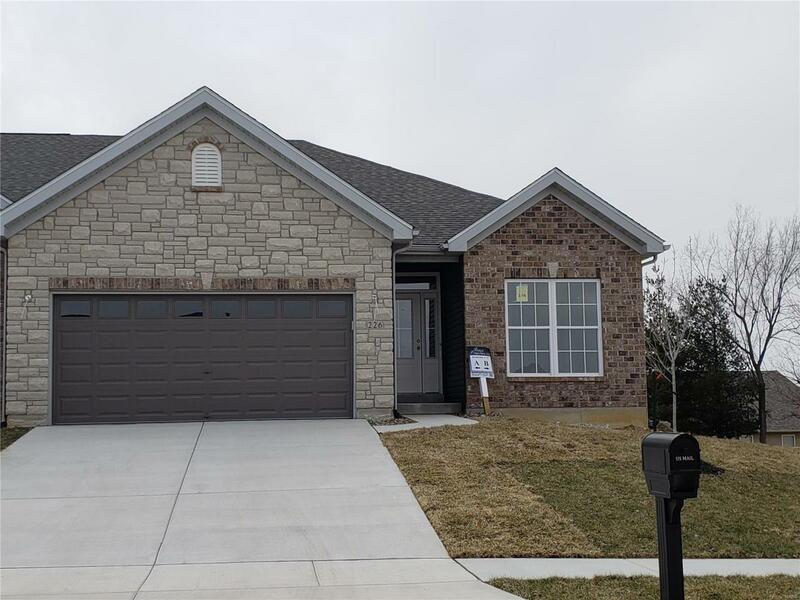 *Note: Sample Photos* New Construction villa in the heart of Wentzville just minutes from shopping & restaurants! Stunning brick & stone elevation on the exterior w/ delightful architecture features inside the home. Main floor 9' tall ceilings w/ impressive great room vaulted ceiling & gas fireplace. Hardwood flooring throughout great rm, breakfast rm & kitchen. 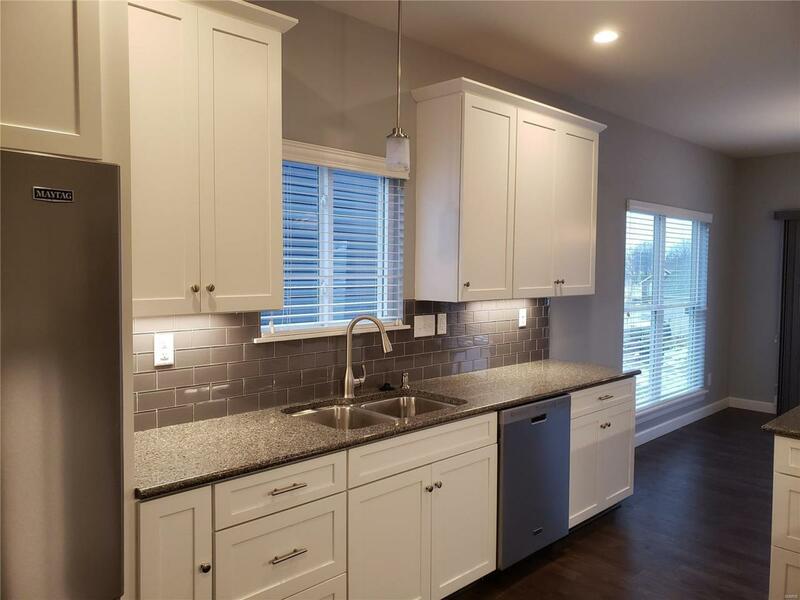 Enjoy cooking in the lovely kitchen featuring 42" custom cabinetry, tile backsplash, solid surface counters, SS appliances opening right into the bright breakfast rm. Spacious master suite includes vaulted ceiling, large master bath w/ separate tub, shower, dual sinks & spacious w/i closet. Also on the main level is the guest bedroom or office space plus the laundry rm. 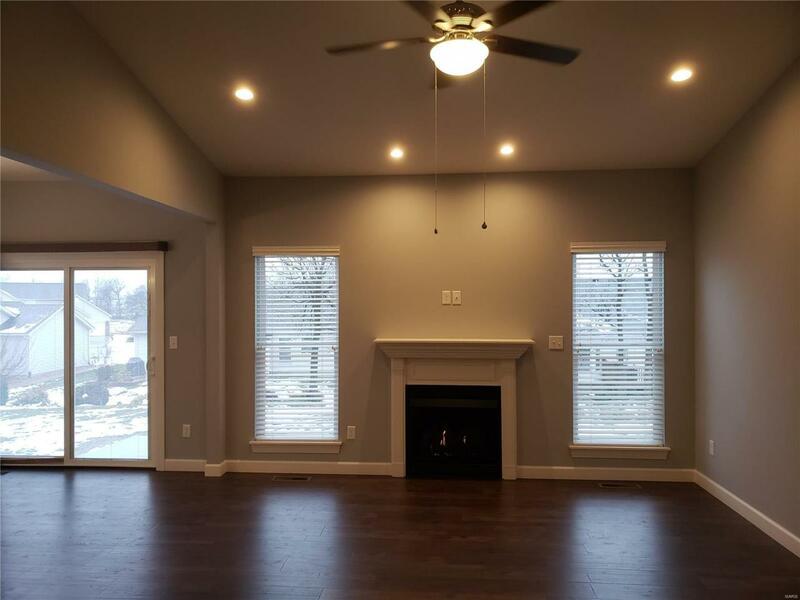 Partially fin LL features wet bar, rec room & add'l bedroom & bathroom. Monthly dues covers grass cutting & landscaping, irrigation system, snow removal of streets, some exterior insurance & club pool. 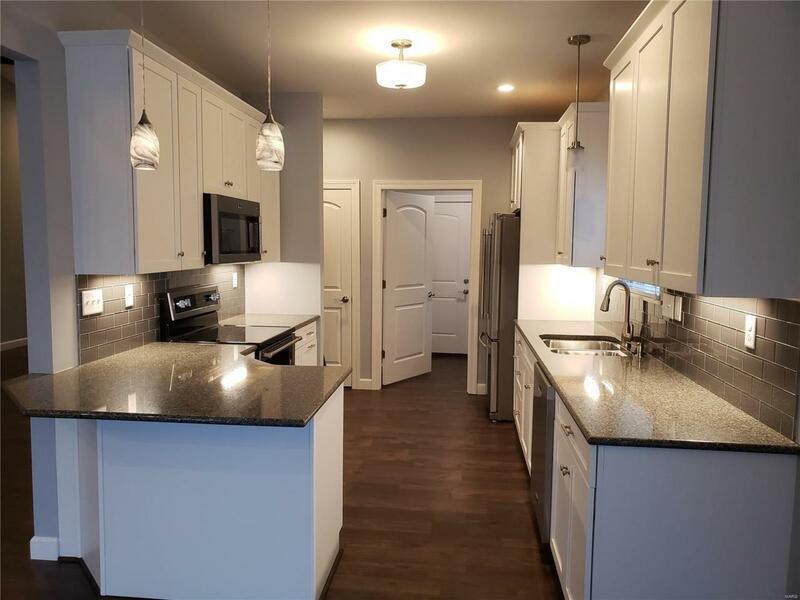 Low maintenance lifestyle, many upgrades & great location!